Website Mistake 10: A website that is “me” focused. Website Mistake 9: No testimonials or case studies to demonstrate your expertise. Website Mistake 8: Lack of additional resources and links. 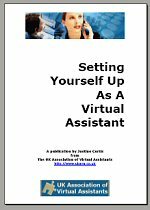 Website Mistake 7: Copying every other virtual assistant web site. Website Mistake 6: Not mentioning what makes you different, your USP. Website Mistake 5: Missing or hidden contact information. Website Mistake 4: Not Turning Your Website Visitors Into Prospects.